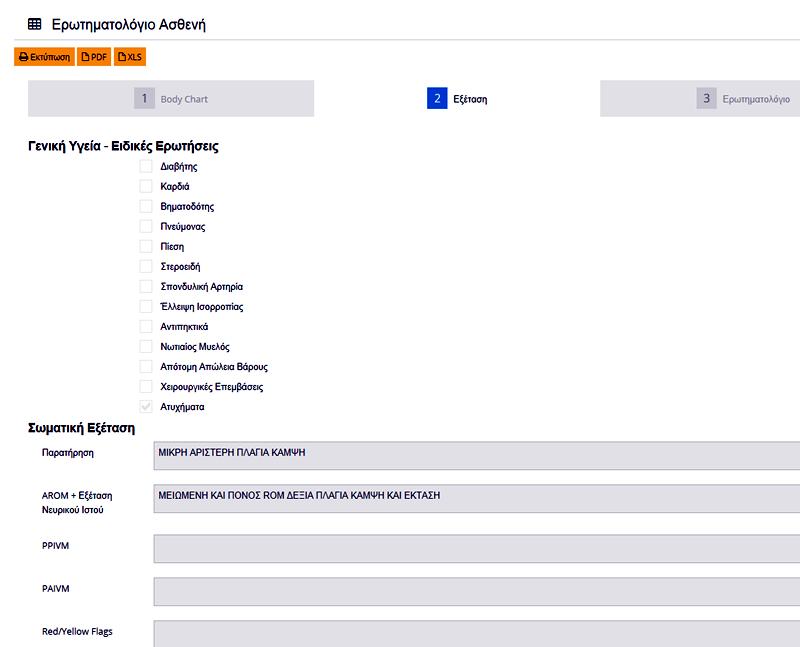 The need to upgrade services provided to patients has led us to create the application for Orthopedic Manual Therapy (Omt.gr). Omt includes a basic application for patient assessment that may be used by healthcare professionals such as: Physical Therapists, Physiatrists, Orthopedics, Sports Medicine Physicians, and General Practitioners. It allows the Therapist to access and handle accounts from any computer or smart phone, since all the data are stored in a central server. The application includes a set of questions that pertain to the mapping and description of pain and of the sensory disorders that the patient suffers from. It also enables recording the patient’s case history and the disability index or the dysfunction of the area in which the patient experiences pain. Omt.gr is a dynamic website that develops in accordance with scientific needs and developments.